Take the VHDL beginner's tutorial series: Take me there! Now check your email for link and password to the course material. The linked list is a dynamic data structure. A linked list can be used when the total number of elements is not known in advance. It grows and shrinks in memory, relative to the number of items it contains. 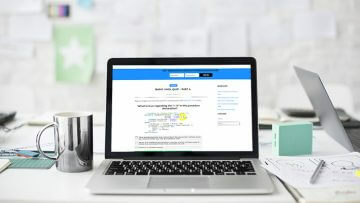 Linked lists are most conveniently implemented using classes in an object-oriented programming language. 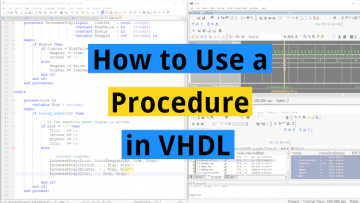 VHDL has some object-oriented features which can be used for abstracting away the complexity of the implementation from the user. 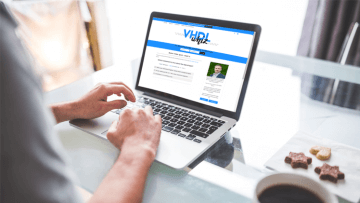 Test your progress with this VHDL quiz after completing part 4 of the Basic VHDL Tutorial series! It is possible to drive external signals from a procedure. As long as the signal is within the scope of the procedure, it can be accessed for reading or writing, even if it isn’t listed in the parameter list. An impure function can read or write any signal within its scope, also those that are not on the parameter list. We say that the function has side effects. 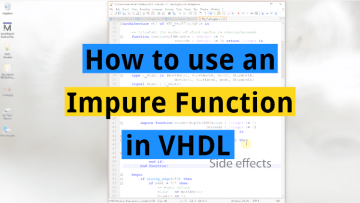 Functions are subprograms in VHDL which can be used for implementing frequently used algorithms. A function takes zero or more input values, and it always returns a value. In addition to the return value, what sets a function apart from a procedure, is that it cannot contain Wait-statements. This means that functions always consume zero simulation time. 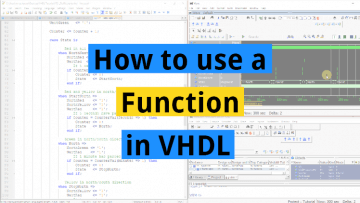 If you are familiar with functions or methods from other programming languages, VHDL functions should be easy to grasp. A finite-state machine (FSM) is a mechanism whose output is dependent not only on the current state of the input, but also on past input and output values. 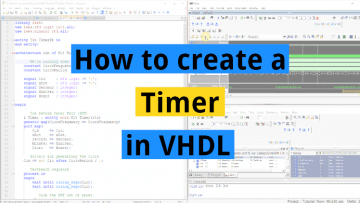 Whenever you need to create some sort of time-dependent algorithm in VHDL, or if you are faced with the problem of implementing a computer program in an FPGA, it can usually be solved by using an FSM. 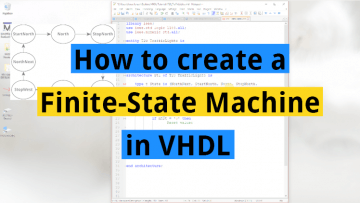 State-machines in VHDL are clocked processes whose outputs are controlled by the value of a state signal. 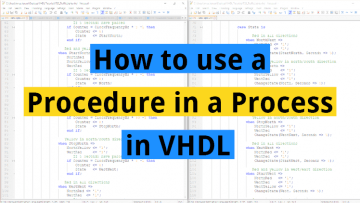 A procedure is a type of subprogram in VHDL which can help us avoid repeating code. Sometimes the need arises to perform identical operations several places throughout the design. While creating a module might be overkill for minor operations, a procedure is often what you want. In earlier tutorials we have used the wait for statement to delay time in simulation. But what about production modules? The wait for statement cannot be used for that. That only works in simulation because we can’t just tell the electrons in a circuit to pause for a given time. So how can we keep track of time in a design module? Test your progress with this VHDL quiz after completing tutorials 12-17 from the Basic VHDL Tutorial series! 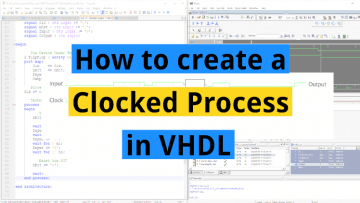 The vast majority of VHDL designs uses clocked logic, also known as synchronous logic or sequential logic. A clocked process is triggered only by a master clock signal, not when any of the other input signals change. Do you want to become a top-tier digital designer? Would you like to be sought after in the industry for your VHDL skills? VHDLwhiz helps you understand advanced concepts within digital logic design, without being overly technical. Learn the best tricks of the trade. Don't work harder than you have to!